For up-to-the-minute announcements, events and more, check our Facebook and Twitter feeds on the Notice Board home page, or www.facebook.com/DofESouthEast and @DofESouthEast! Forestry Commission England is making new requirements and restrictions of DofE groups visiting the New Forest. Information can be found on their website. 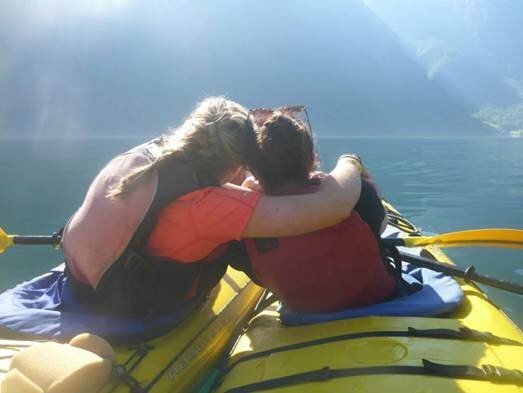 We love this beautiful poem written by Furze Platt Senior School’s Shannon Doyle for her Bronze Expedition aim – incredible! If you’ve created anything beautiful on your DofE journey, let us know! And the people I’m working with, I’m getting to know. And I wish all my friends the best. 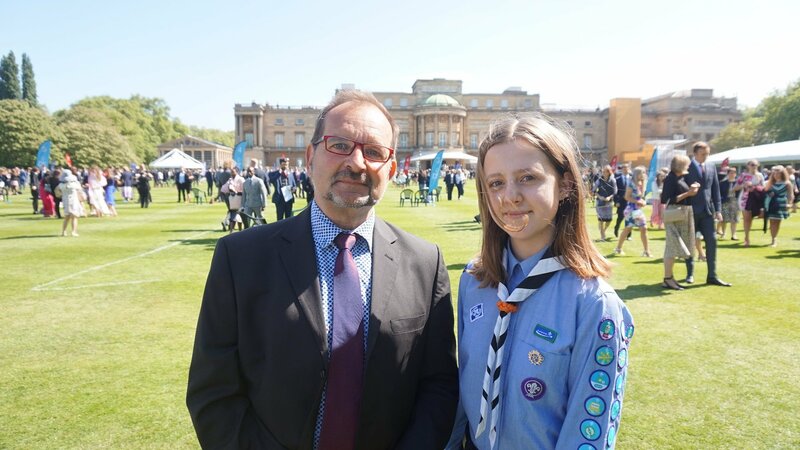 Congratulations to so many incredible and inspiring young people who received their Gold DofE Awards at Buckingham Palace this May! 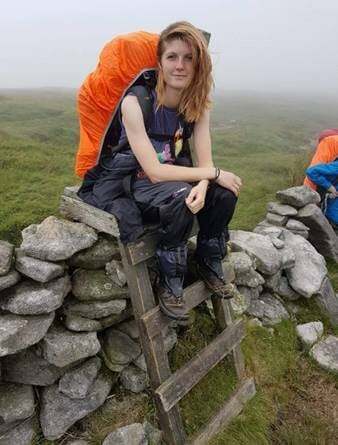 Read about Charlotte Kirk’s DofE journey here, and don’t forget to check our Twitter page for many more photos from the day! Hannah from Island Innovations VIth Form (pictured with DofE Manager Alistair Bridle) is heading to university to read Mathematics after completing an amazing Gold Award! Congratulations to them and everyone who attended the events! HRH The Earl of Wessex continues his UK Real Tennis tour with a fantastic event at Petworth House! Read more about the day here. Youth Hostels Association, a DofE Approved Activity Provider, is now taking registrations of interest for 2018 Residentials! If you’re undertaking Gold and are looking for a fun, unique and FREE Residential, the YHA is what you’re looking for! Registrations are open from Thursday 15th February 2018 to Monday 31st December 2018. Visit the website to register your contact details – don’t miss out! South East Welcomes Thinking Schools Academy Trust to the Network! We are delighted to be working with the Thinking Schools Academy Trust – a Multi-Academy Trust with secondary schools in Medway and Portsmouth. Young people at the academies are already going above and beyond, with students earning an Environmental Champion Award, teaching a Rainbows group about bullying and self-respect, and helping with a street dance and musical theatre club. Congratulations to the Surrey-area DofE Ambassadors – an amazing training day completed, our young Ambassadors are ready to support participants and DofE delivery in their schools and Centres. Thank you for your dedication, inspiring ideas and enthusiasm! Want to nominate an Ambassador? Find out more here, or nominate a young person here! Welcome to all our new DLCs in the Medway and Kent area! 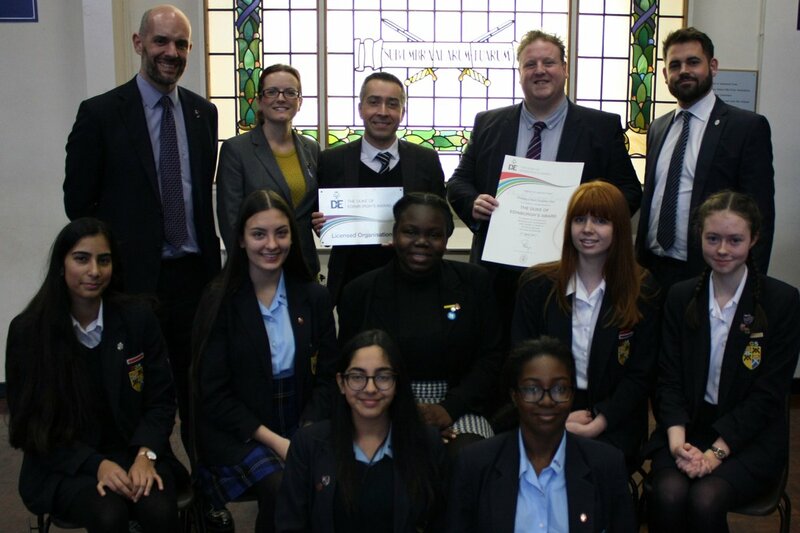 Pictured below, Alex Wilkes presents Brompton Academy and Sir Joseph Williamson’s Mathematical School with their licences. Don’t Miss Out – DofE Adventure! We are delighted to announce you can now sign up for the 2018 DofE Adventure! DofE Adventure is a once in a lifetime experience – a weekend hiking, camping and sharing the adventure with 1500 fellow explorers in the beautiful Peak District! All Adventurers will receive a t-shirt and fundraising pack and a medal on completion – base camp will include entertainment, tents and hot showers. Don’t miss out – visit the Adventure website and sign up today! We are pleased to announce a great new resource for the 2017 Expedition season – the Campsite Directory. This new tool links to locations and addresses of all campsites in the UK that welcomes DofE groups. Visit the Expedition Resources section on our Resources page to access this new feature!